Representatives from Government ministries were invited to discuss the plans of the Government in line with implementation of the GCM. 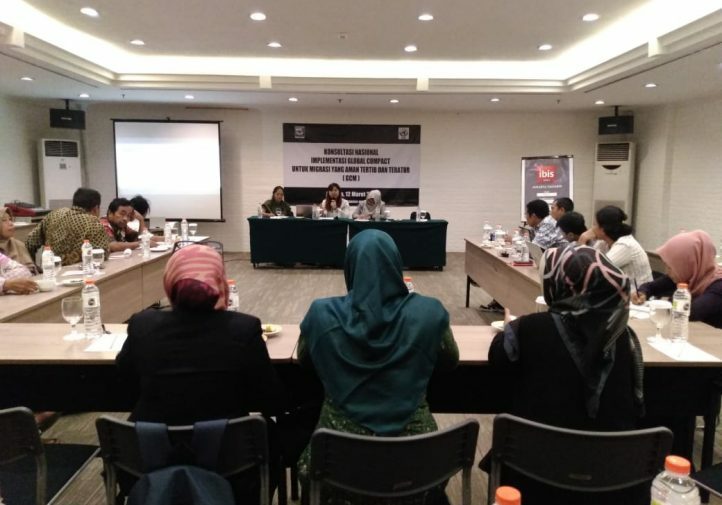 The representative of Ministry of Foreign Affairs (MOFA) said be creating a forum to discuss the responsibilities of the Indonesian government in the implementation of the GCM. 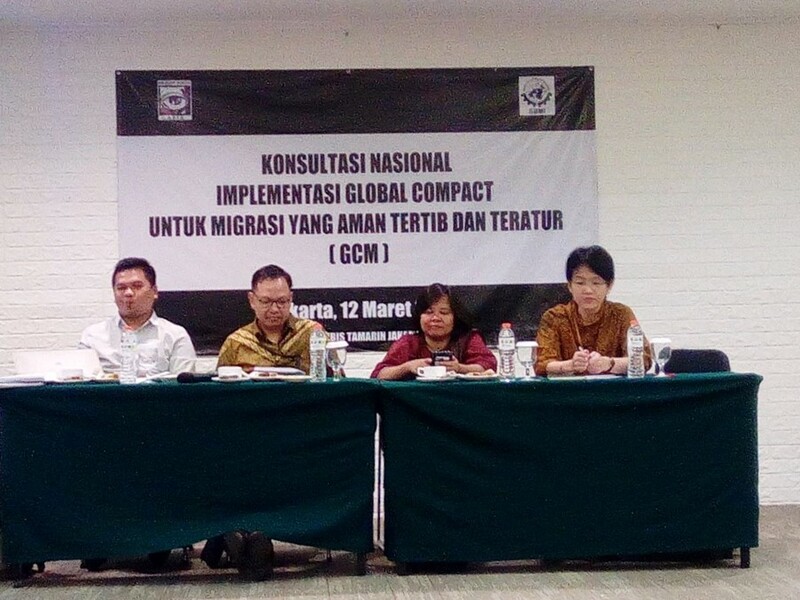 Consultations will also be conducted with various ministries working on migration to gather recommendations on the implementation of the GCM. 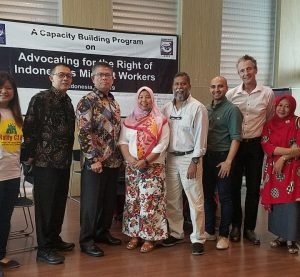 The government also plans conduct an analysis of existing policies and programs of Indonesia to see if it complies with the GCM.The ministry is cooperating with the IOM and ILO in the implementation of the GCM. 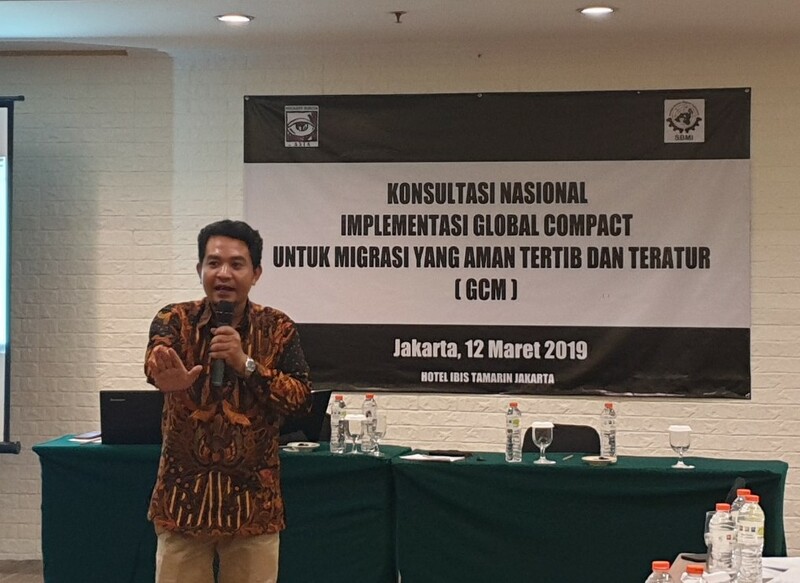 The representative from the Ministry of Manpower shared about the initiative of the Indonesian Government to assist and support migrant workers. 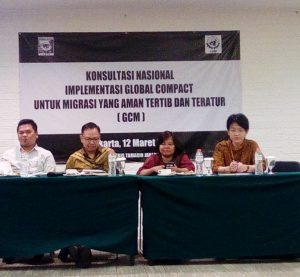 The Indonesian government has actively promoted the rights of migrants in regional processes including among them the Colombo Process. 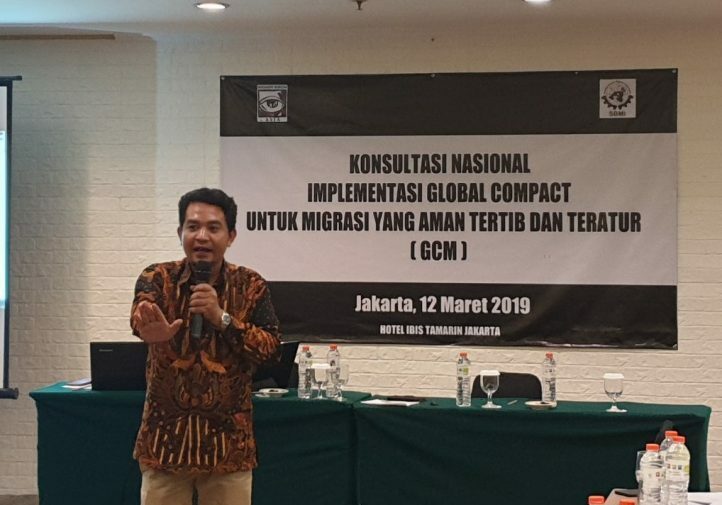 The representative also shared the one stop centres for migrants established around the country to assist migrants in distress and prevent trafficking of migrants. 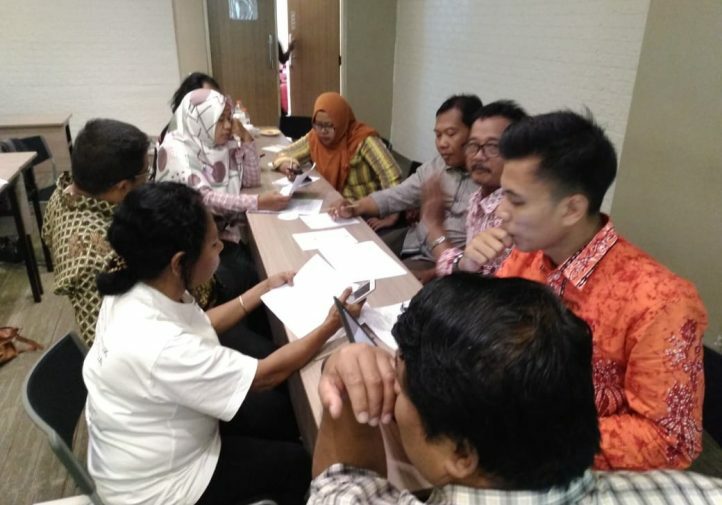 There are also efforts to organize community education on issues of migrant workers. 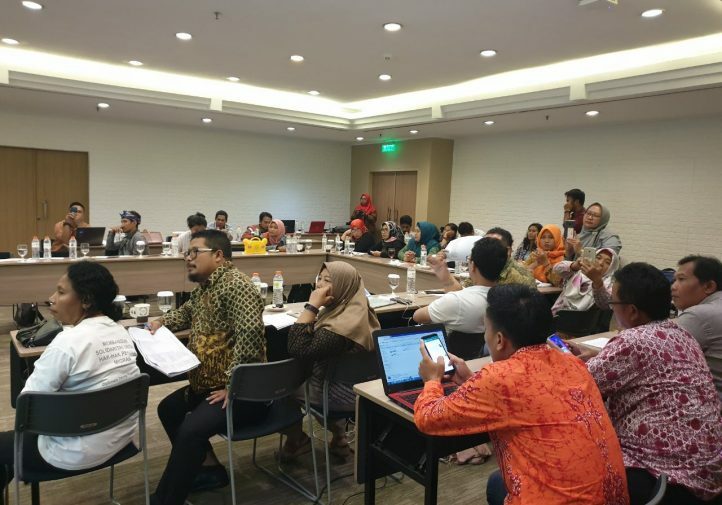 These are among the initiatives currently implemented by the Government that will assist in achieving the objectives of the GCM. 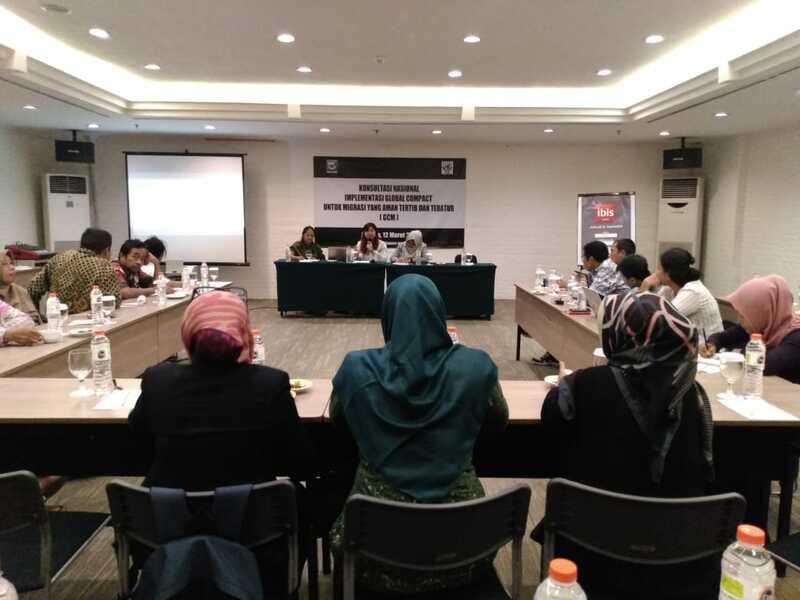 A representative from the Women’s Rights National Commission discussed the government initiatives in support of women migrant workers. 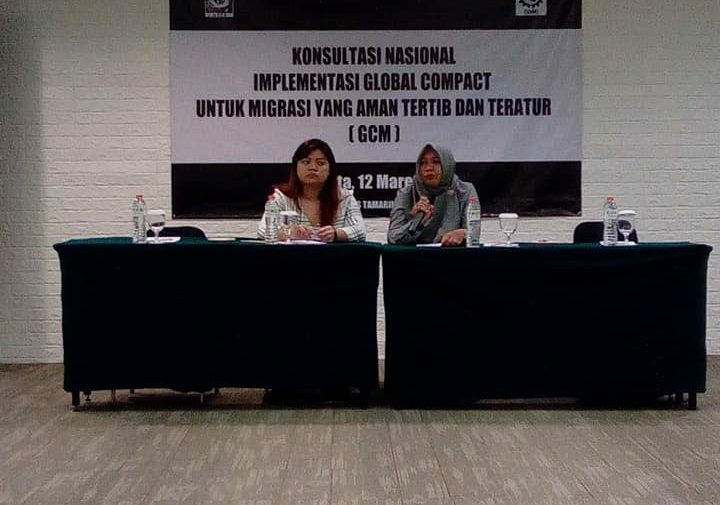 The commission has conducted fact finding missions on issues affecting women migrant workers and has worked in collaboration with other ministries to ensure that rights of women migrant workers are taken into consideration in developing responses to issues of migrants. 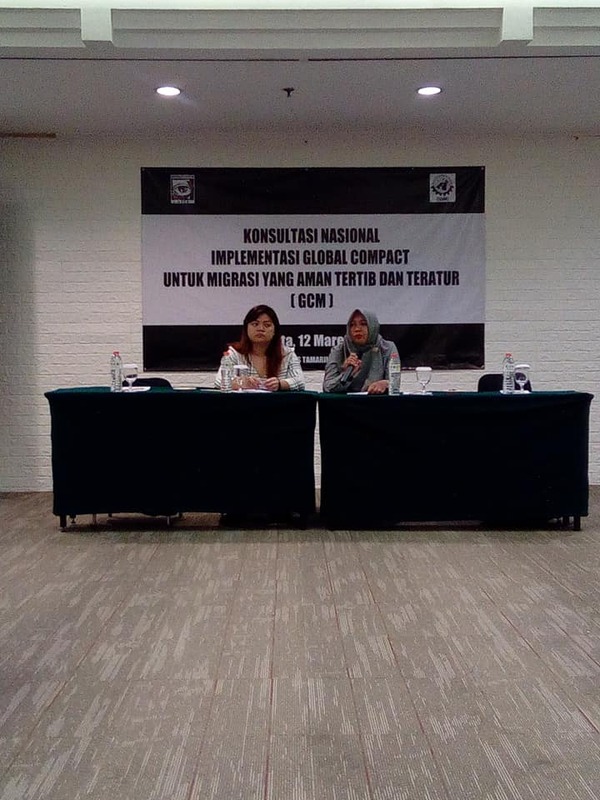 The commissions representative emphasized on the need to look at GCM side by with the implementation of the 2030 SDGs, the compliance to international mechanisms such as the Convention on the Elimination All forms of Discrimination Against Women (CEDAW). 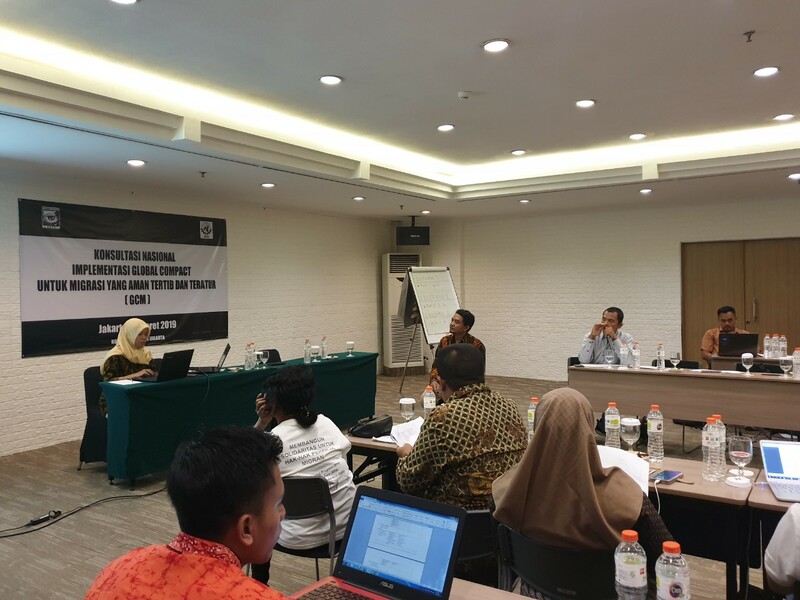 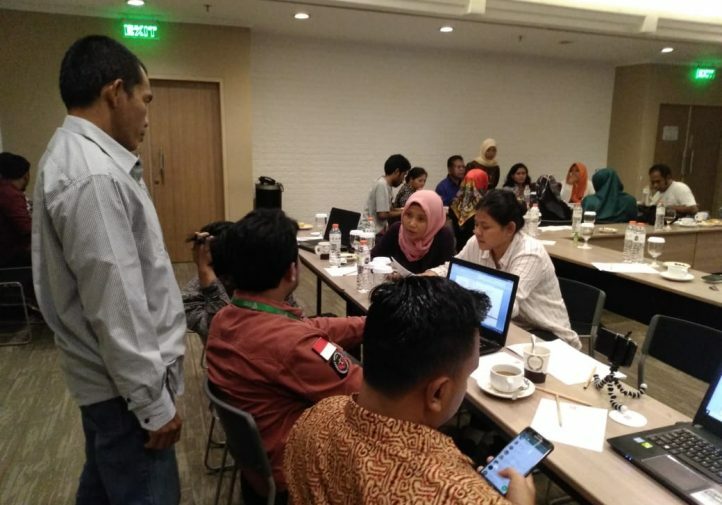 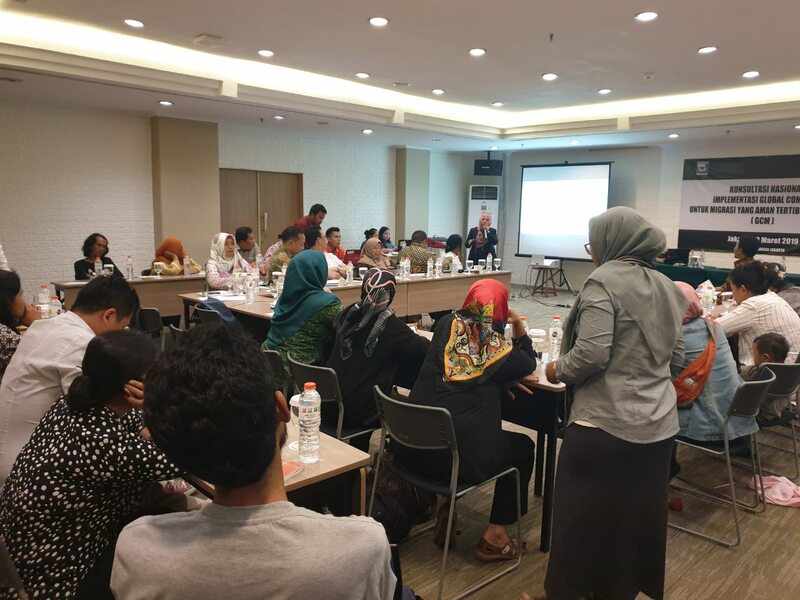 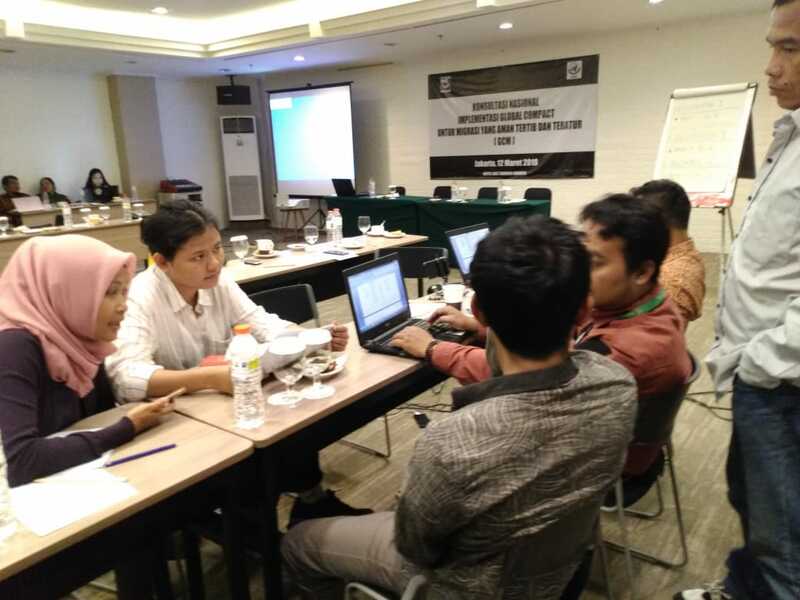 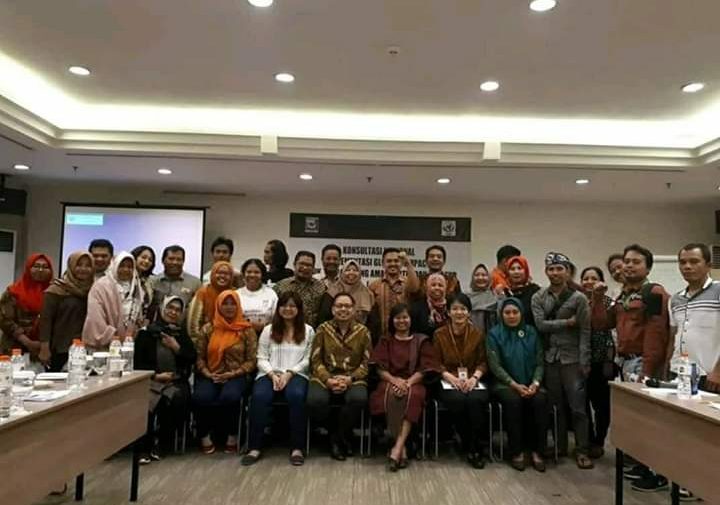 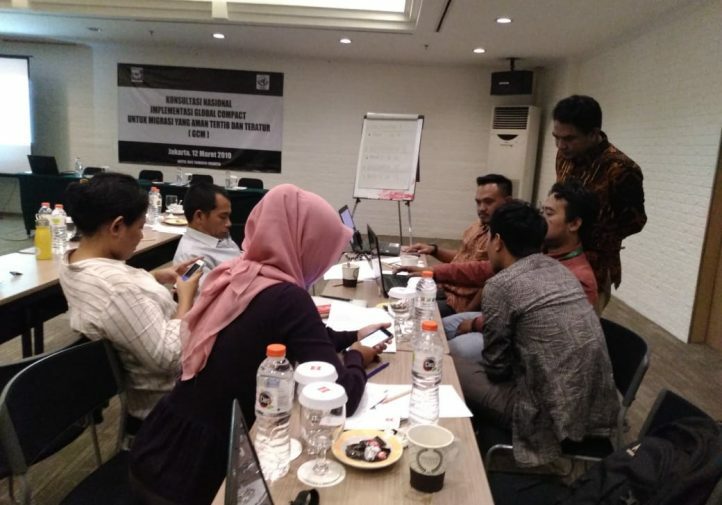 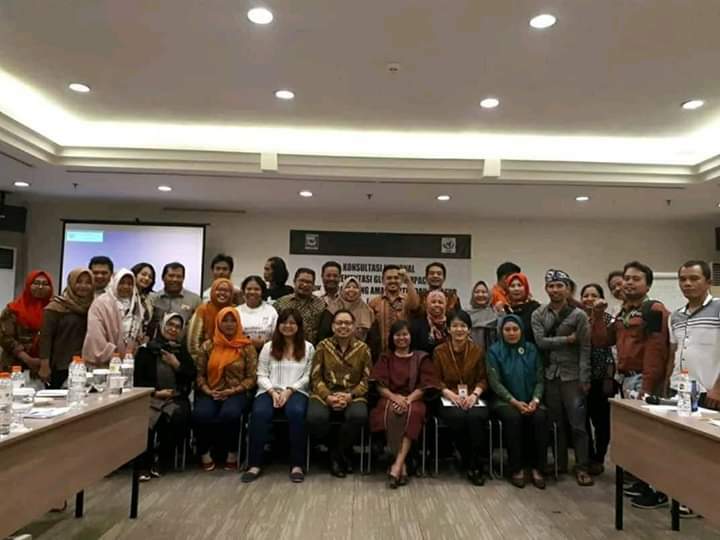 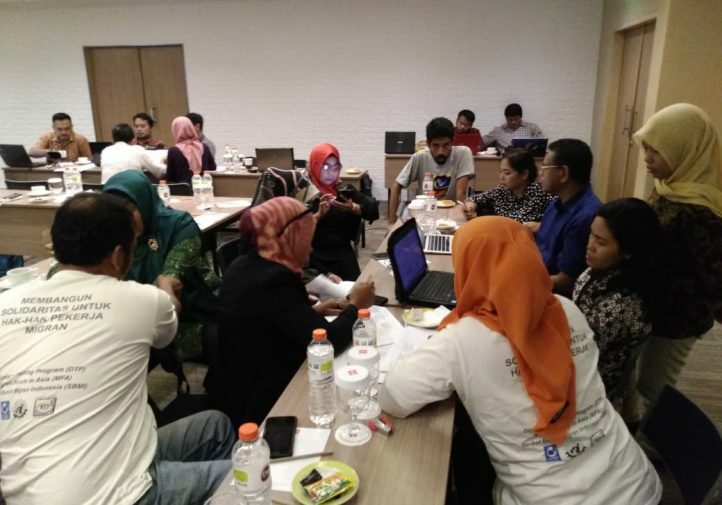 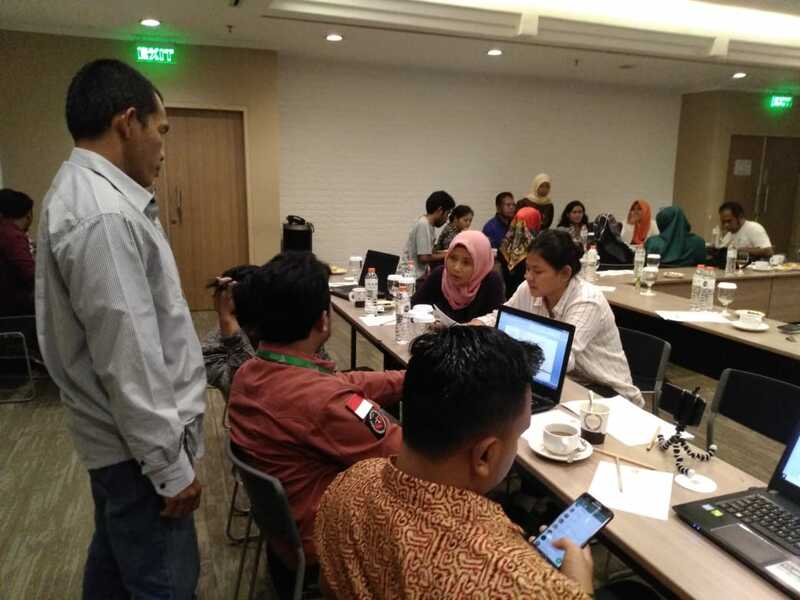 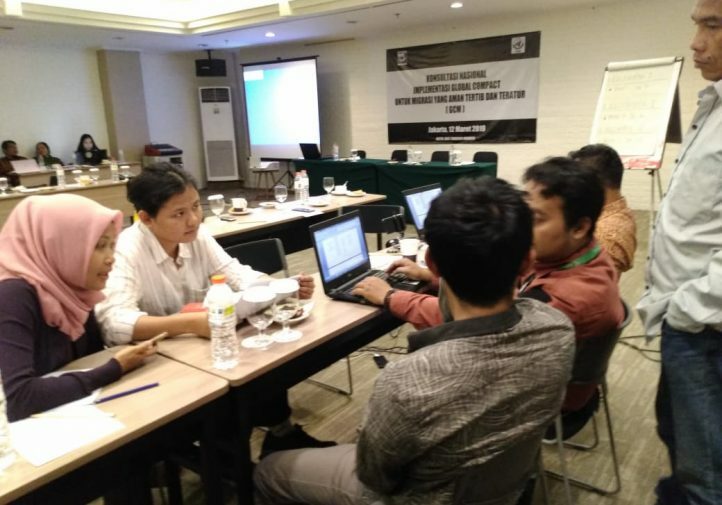 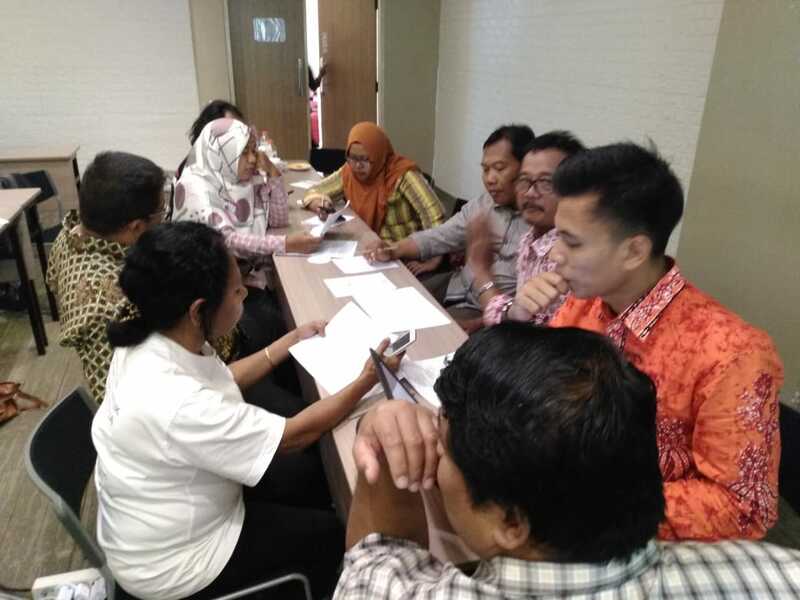 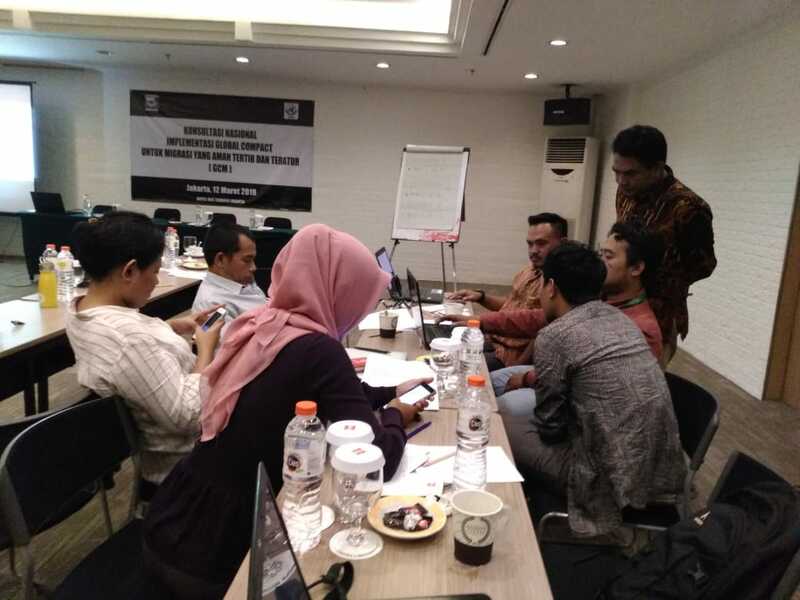 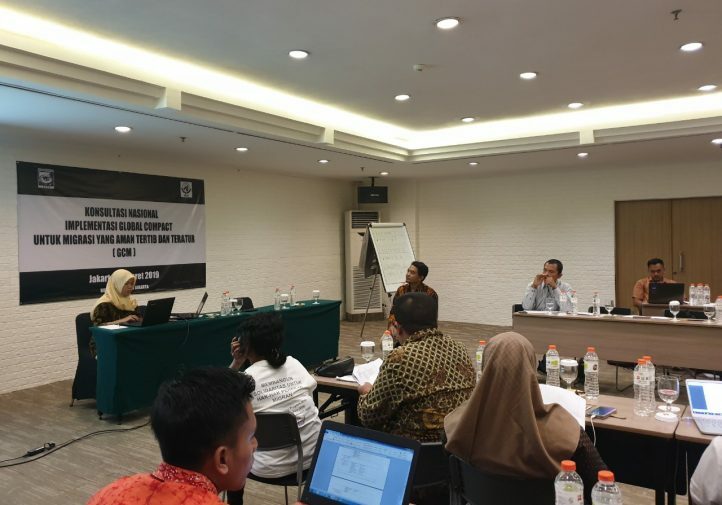 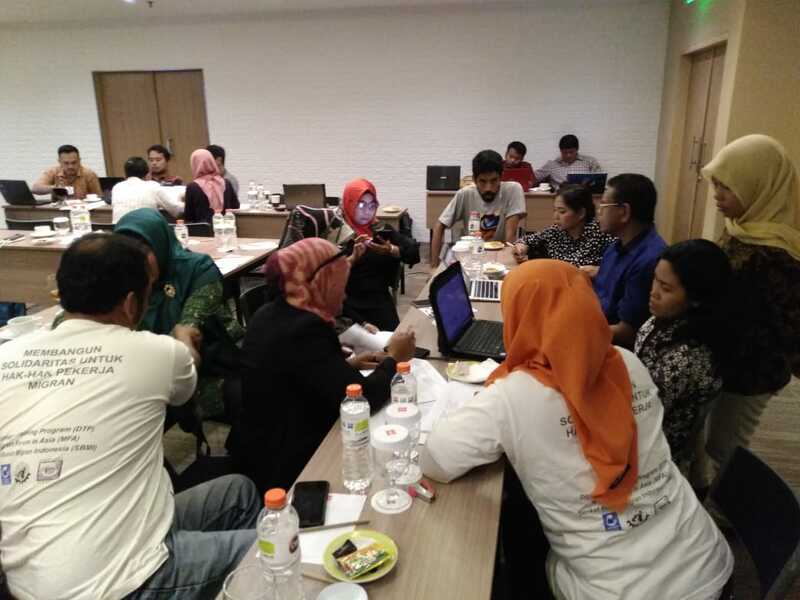 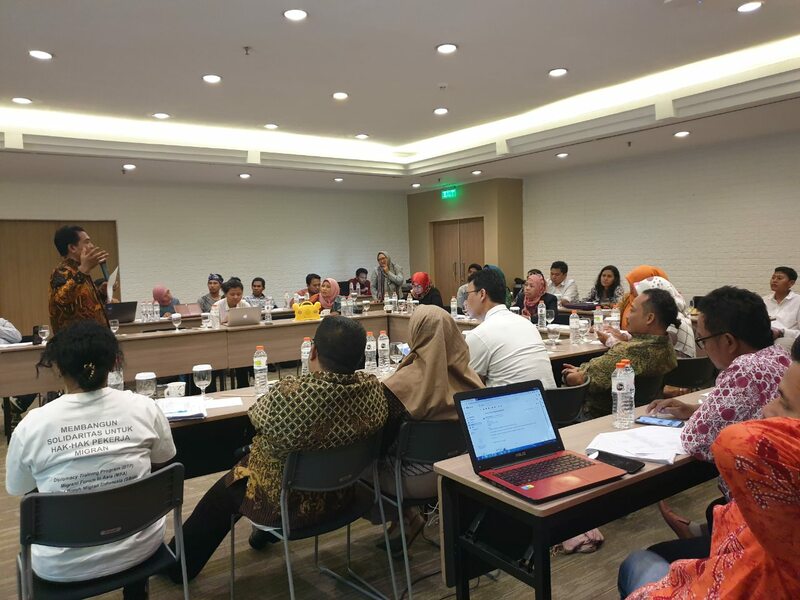 After the inputs from Government ministries, participants discussed priority issues from the 23 objectives of the GCM that they will put forward with the Indonesian Government. 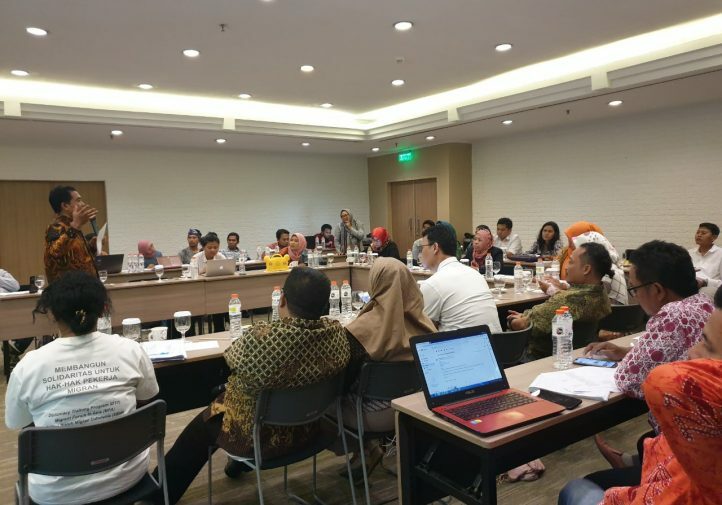 From the priority issues identified, the participants identified what is being done by the Government, and what needs to be improved in line with the implementation of the GCM and the 2030 SDGs. 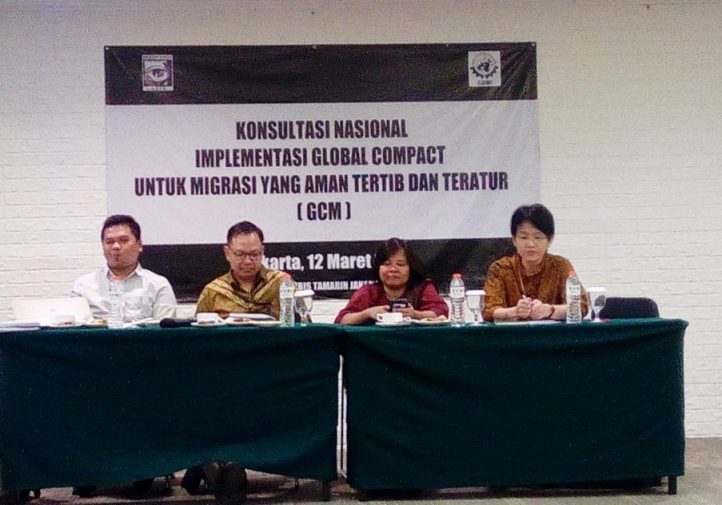 The recommendations put forward in the national consultation will be presented to the Indonesian Government as part of the advocacy for the implementation, follow-up and review of the GCM.